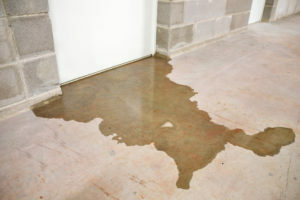 The spring season could bring an excessive amount of rainfall that could spell trouble for the average homeowner. In situations where runoff water overwhelms the sewer system, raw sewage can come out of the drains of your home and cause widespread damage. As the forecast calls for more showers in the weeks and months ahead, The Insurance Center would like to share a few tips that can help you prevent sewer backups. Aging sewer systems, pipeline infrastructures, and tree roots are some of the causes that lead to sewer backups. Although homeowners don’t have much control over these factors, homeowners can take preventative actions to help reduce the odds of a sewer backup happening in their home. Before a torrential rainstorm wreaks havoc around New Hampshire, The Insurance Center encourages you to review our tip sheet below to help prevent major damage from a sewer backup. Paper towels, feminine hygiene products, and disposable diapers can clog the lateral line that goes to the sewer system. Dispose of these things in a regular trash bin. Grease should never be drained because it can solidify in the pipes. Homeowners can let grease congeal and then throw it away in the regular trash. Homeowners are responsible for maintaining their lateral line until it reaches the sewer. Replacing older cast-iron pipes, common among homes built before 1950, with plastic ones could help prevent a sewer backups. Plumbing shortcuts can also disrupt the function of your drain system. Speak with a licensed plumber if your sump pump or other flood control systems are illegally connected to your sanitary sewer. An agent from The Insurance Center can help you find a homeowner’s insurance policy with a separate endorsement to protects you from this type of event. For a minimal premium, homeowners can have peace of mind knowing their belongings and property are covered. The Insurance Center has been protecting families and businesses from significant losses for generations. Our insurance agents will work with you to determine your needs, and help you select a policy that makes sense for your financial situation. Call us at 603-542-2551 to learn more about the insurance products we offer, and how we can help you protect the things that matter to you.